Chris tries to check his stress at the door and suggests you do the same. In both his professional and social lives, Chris loves telling stories and getting people to tell theirs. Knowing people, dealing with people and working to get the best out of people is what Chris excels at. 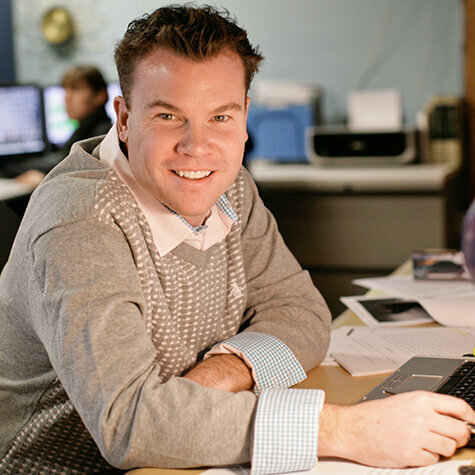 At TeamWorks, Chris has worked on The Big Ten Conference’s brand campaigns, La Vida Baseball, BTN Live Big, Northwestern University, The Golf Hall of Fame and the Big Ten Experience. He also brainstorms new ideas that bring the best of strategy and execution together. Chris will eventually break for lunch.